I never thought I’d be a stayer in, but unless I have a months notice for a night out now, I just can’t gear myself up for it any more! Plus, we’re so busy work and family wise that I don’t see anywhere near enough of my friends, therefore I much prefer spending time with them where we can chat and have a giggle and those hours we’d all be spending getting glammed up can be put to good use catching up instead! Of course we do have a chat and a great time if we’re out, but it’s so hard to hold a conversation with more than one person while music’s blasting a hole through your eardrum! 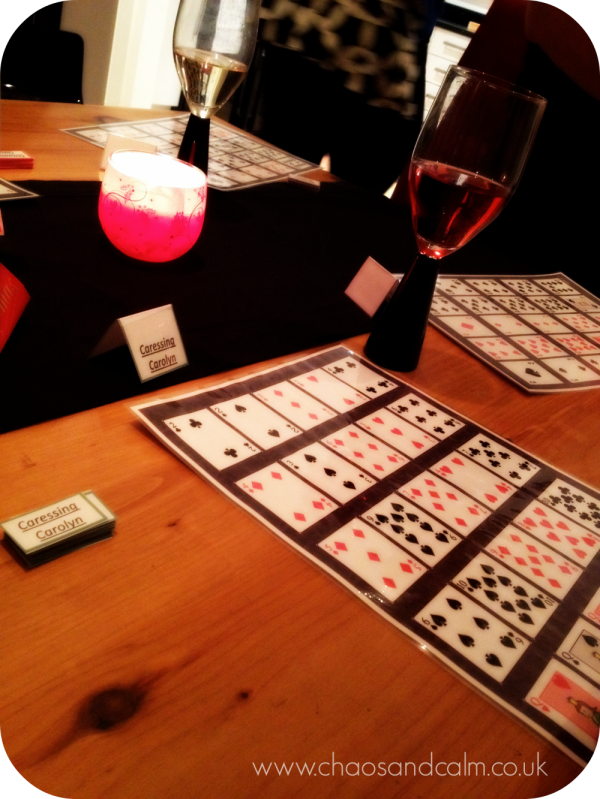 This weekend just gone, we had a our Pokerhino night. I’d never heard of Pokerhino until a couple of years ago, but basically it’s a cross between cards and bingo. We each take a wrapped present, which we set a limit of £5.00 for. Every player gets a sheet with playing card pictures on, as below. The dealer decides what you’ll play for, a line, full house, or even just a quick fire round such as the middle card and then proceeds to go through the deck calling the cards. Sometimes we use sophisticated (and sometimes a bit rude) counters with our names on and other times anything goes, lovehearts, starbursts, any kind of sweets. Only problem being is that we eat them as we go along and then hope that no one decides to do a full house anywhere towards the end!! Each time someone wins they shout…nope, not bingo. POKERHINO! Then they get to choose a prize. They have to unwrap it in front of everyone and place it under their chair. That continues until all the prizes are gone and then during the next round if you win, you can steal someone else’s prize. However, you have to remember who has what and specifically ask for it without peeking! Remembering who has what though can become a little more challenging if there’s wine involved! And with presents getting passed backwards and forwards, sometimes it can get a little competitive. But we all have a great giggle and we make sure everyone goes home with a prize, which is quite often something you’d love but wouldn’t spend the money on. Here are my spoils from the weekend. 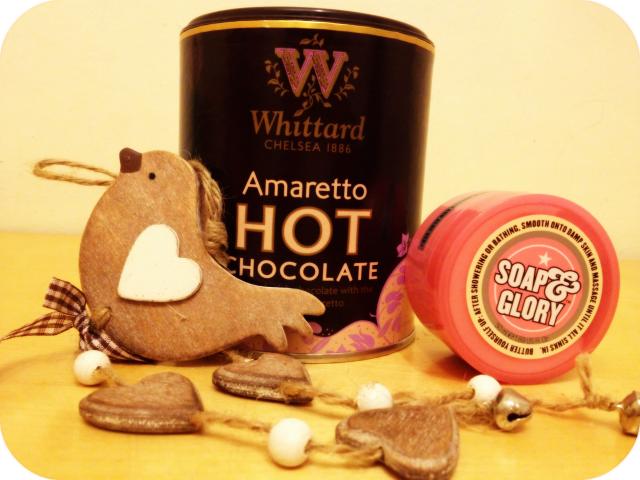 The Amaretto hot chocolate is a total winner! Something I now love but very unlikely to have bought for myself. 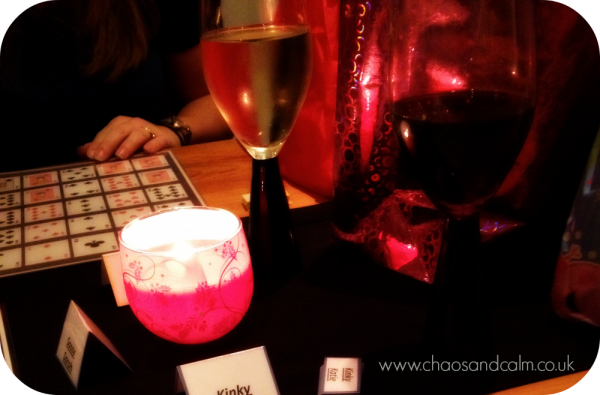 If you don’t fancy Pokerhino then check out this cosmo article for some other great ideas for a girl’s night in. I particularly like the old school sleepover idea, just like when we were 15. It’d be great, even if just for a bit of nostalgia! You can also use your girl’s nights in for the power of good now. How about inviting your friends over and donating what you’d have all spent on a night out to Cancer Research as part of ‘The In Thing’? Not only will you be having a good night with your lovely friends and boosting your own health with those happy endorphins (which are helped along by bonding with our friends), you’ll be doing something great which will help lots of others and make you feel even better. So, what’s your verdict? Night in? Or, night out? Disclosure: This post was written in collaboration with Ladbrokes Bingo.